Insoles for Shin Splints- A Recipe for Relief? 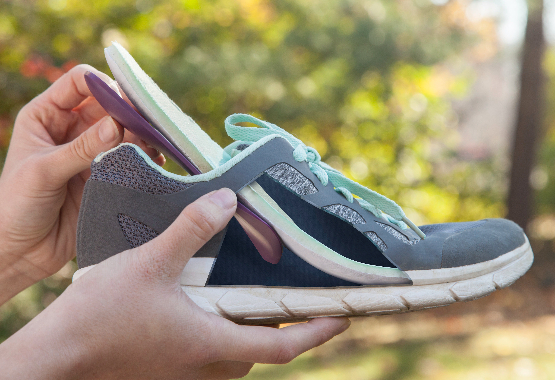 "Will arch support insoles really relieve my discomfort?". This is an extremely common question asked by people who develop shin splints. Frequently, arch support insoles are recommended for people suffering with shin splints. However, the choice of insole can vary based on foot type, as well as the actual cause of the condition. One of the keys to correctly choosing an insole is first understanding what "shin splints" are, and why they develop in many active individuals. Shin splints, or medial tibial stress syndrome, is a common injury induced by intensive exercise, such as prolonged running, vigorous sports or excessive physical activity. This condition can affect athletes of all levels and is characterized by a distinct pain in the lower leg, between the ankle and knee. Shin splints are especially common among runners, aerobic dancers, military recruits and people with flat feet. 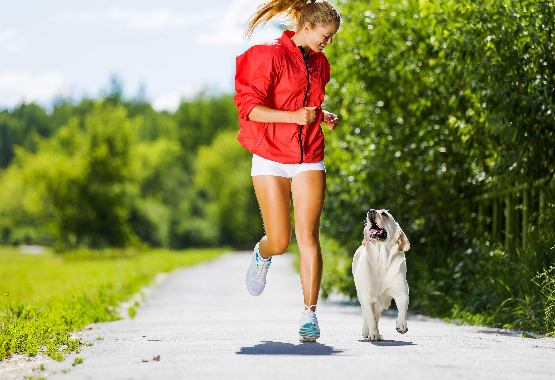 Shin splints are specifically an inflammation of the deep connective muscle tissue that is attached to the inner border of tibia or shinbone. It is a common misconception that the best approach when suffering with shin splints is to "run through the pain". However, ignoring the injury can lead to potentially more serious conditions, such as a stress fracture. In active people, shin splints can be triggered after vigorous and prolonged activity. Conversely, people who have been inactive for a long period of time might experience the symptoms during the initial phases of their exercise sessions. In certain athletes, the symptoms of shin splints are commonly noticed at the end of a sports season. The most common symptom of shin splints is pain along the border of the shinbone. In some cases, there also may be mild swelling in this area. Often, pain appears in the early stages of a workout, gradually decreasing mid-way through the session, only to reappear at the end. The pain may be dull and achy initially. Eventually, with repetitive exertion and trauma, the inflammation can worsen to the point where running, walking or normal weight bearing can become extremely painful. An athlete with shin splints might be forced to stop workouts altogether until the condition improves. With proper care and treatment, shin splints can be resolved completely. The key to prevention is by gradually easing into a physical activity or sport rather than rushing back. 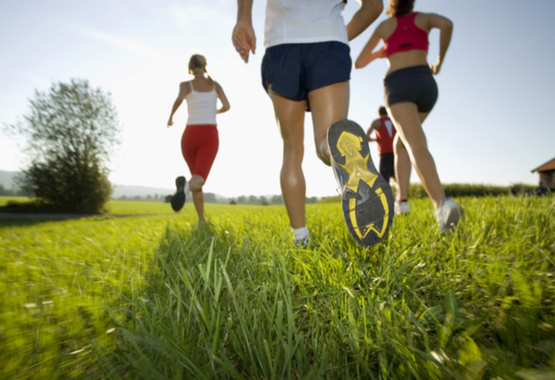 Exercising before completely recovering from shin splints can cause permanent damage. Also, warming up and stretching regularly before and after exercise can lower the risk of a relapse. In rare cases, when the pain is getting progressively worse and non-surgical treatment is ineffective, surgery might be recommended. “How Do I Pick the Right Arch Support Insoles for Shin Splints? " It is important to choose an insole that is neither too flexible, nor too rigid. An insole that is very firm does not provide adequate shock absorption during impact activity. If the material or design of the insole does not compress adequately, the shock generated from your foot striking the ground is transmitted back into the injured area when force is applied. On the opposite end of the spectrum, an insole that is too "cushiony" may fail to alleviate the symptoms of shin splints because the support the provided is inadequate. Regardless of the insoles you ultimately choose, it is important to break in these types of devices over a prolonged period of time. Your foot may not be accustomed to the level of support a new insole provides, and it may take some time for the muscles and ligaments to acclimate. Check out our homepage to further explore various characteristics of many arch support insoles. Before instituting any treatment for a painful condition, it is always recommended that you consult with your physician to discuss your diagnosis and treatment options. This is also applicable before you begin any exercise program. SHIN SPLINTS? COME SEE OUR SOLUTION!